We welcome you to stay in our cozy cottage "het Bakhuisje". 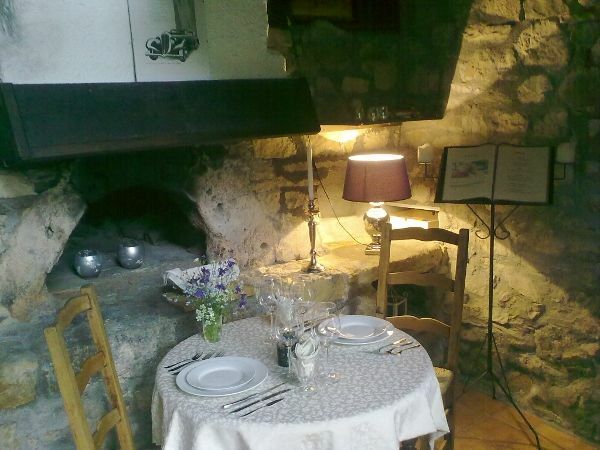 This ancient backery where the milled flour was baked into delicious baguettes and croissants, part of our 300 year old water mill "Moulin de de l'Aymerie" is transformed into a cozy simple cottage for two persons. The cottage is separated from the millbuilding and has a private terrace with a beautiful view of the surroundings. The toilet is separate in another building and you can take a shower at our facilities on the campsite in the middle of nature. We rent the cottage without linens. This tent measures 5 meters in the round and is equipped with a fixed 2 personbed, and if desired, an extra 1 person or babybed can be installed, a table top fridge, BBQ, outdoor kitchen under a tarp and all the necessary inventory, table and two reclining chairs. 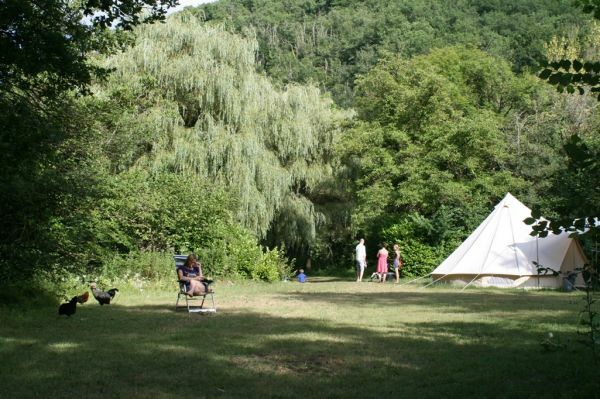 This tent has a size of 6 by 4 meters and offers a spacious sleeping room for 4 to 5 people. The tent has a separate sleeping cabin for the children that can be split in two. Alsona fixed two-person bed. Of course this tent is fully equipped with an outdoor kitchen and inventory in a separate shelter under which you can eat in the shade. Also a BBQ, a refrigerator, outdoor table and chairs are of course provided.